Dream Comes True with Jump Rope Adaptive Device. FRC Team 316 the LUNATECS is a South Jersey Robotics high school team that meets year-round. During their summers, while not preparing for off-season competitions, the team looks for ways to use what they know to give back to their community. And sometimes they make a dream come true. During the spring of 2017, Linda Champagne from the Tatnall School in Wlimington told the LUNATECS about a special a first grader at her school named Isaiah. This young boy wanted to do something simple. He wanted to play jump rope with his friends. But Isaiah had a special challenge. Due to a congenital amputation, he only has one hand. When the LUNATECS members Jared Crane, Devon Hedges, and David Capaldo heard about Isaiah’s request, they accepted the challenge. 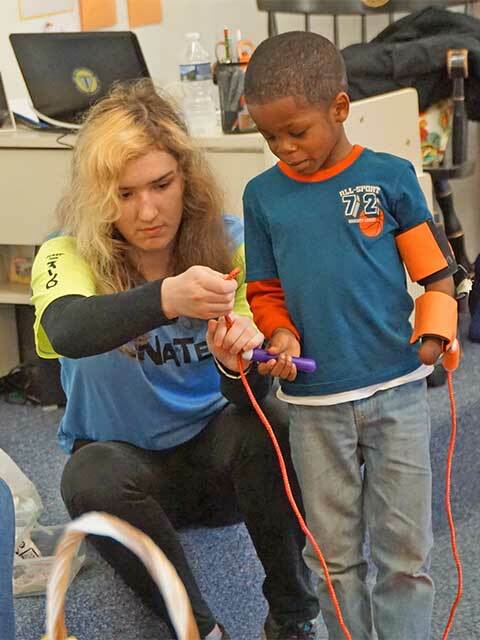 They put their engineering skills to the test to design, engineer, and build a device that Isaiah could wear that would allow him to jump rope, just like his friends. 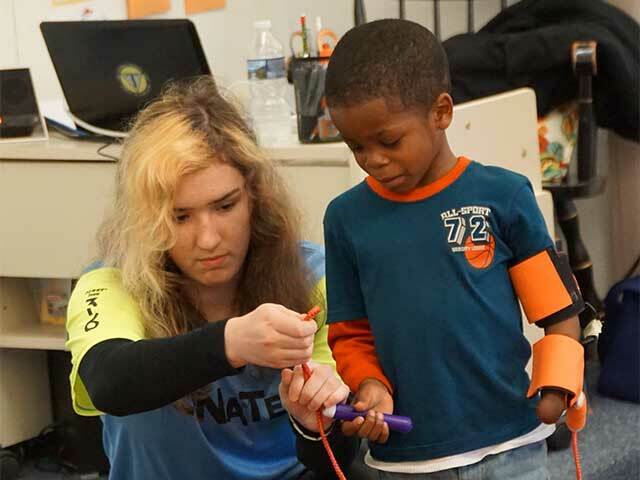 With full hearts, the LUNATECS outfitted Isaiah with his adaptive device and watched as he tried out the jump rope. Everyone was excited and happy when they saw Isaiah leap into the air with the jump rope flying around him, making his dream come true. The dream-makers earned a feature in the local NJ.com news. Read more here.